Jessica Rowe’s Midwest Photographers Project portfolio includes selections from two bodies of work. 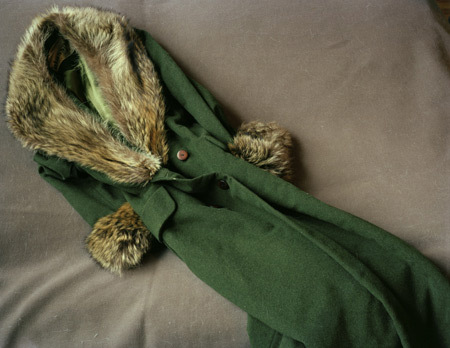 In the newer series,Remnant, Rowe photographs the clothes of women she has known who have died. Whether dress coats or lingere, the articles are not only personal but telling. Their shapes and volume evoke the physicality of the owner while their color and cut suggest personality and attitude. The pictures are decidedly intimate, even vulnerable, as they quietly meditate on what perishes and what we leave behind. A recent installment in Rowe’s on-going project A Different Now make up the rest of the portfolio. 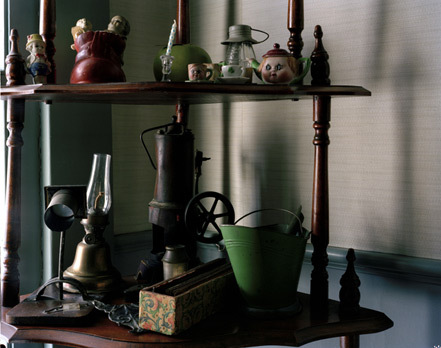 Rowe shoots in Midwestern homes which have been occupied by a particular family or individual for some time. 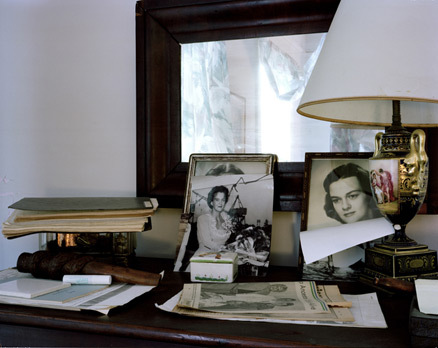 The items arranged, displayed, or tucked away in these homes are of such personal significance that they cannot help but suggest portraits of their possessors, but (among other things) they also demonstrate the need to honor, or at least remember, particular people and events. The title of the series references the way these objects and arrangements evoke the past while existing in the present. Yet no matter how dated the décor or aging the keepsake, it is important to remember that these places are not static time-capsules sealed away: they are the scenes in which family life plays out daily. Director of the short films Unopened and Dream Document, Rowe earned her BA from Smith College, Northampton, Massachusetts (1997) and her MA from Illinois Institute of Technology, Institute of Design, Chicago (2001). She is an instructor at Columbia College Chicago, and her exhibitions include About Face: Photographic Portraits from the Collection at The Art Institute of Chicago; Remnant and Terraria at Open-End Art, Chicago; A Different Now at Goldpeak Gallery, Chicago; andInterior Light at Smith College, Northampton, Massachusetts. Photographs from A Different Now are included in the permanent collection of The Art Instiute of Chicago.